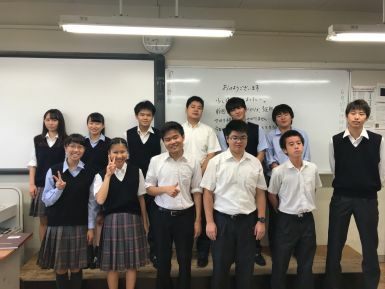 Seiritsu International Education: Thanks Kousei! Three weeks really pass quickly when you are having fun! Our visitor, Kousei, has already been here for three weeks and it is time for him to continue on his journey so we had a little fair well for him. We know he will be in Japan for little while yet. In fact, he should be joining us on our excursion in July. So he will have time yet to catch up and hang out with some of our students if he wants. And we have also told him we would enjoy having him back if he gets a chance. The teachers and students hope to see him again.